Here’s some of the science fiction and fantasy short stories I’ve been reading recently. Madeleine entered a drug trial after her mother died of Alzheimer’s. But now she’s experiencing extremely vivid flashbacks to memories of her childhood. And then she sees someone she doesn’t remember. This story takes place many years after the apocalypse, and the narrator has never known the world that came before. 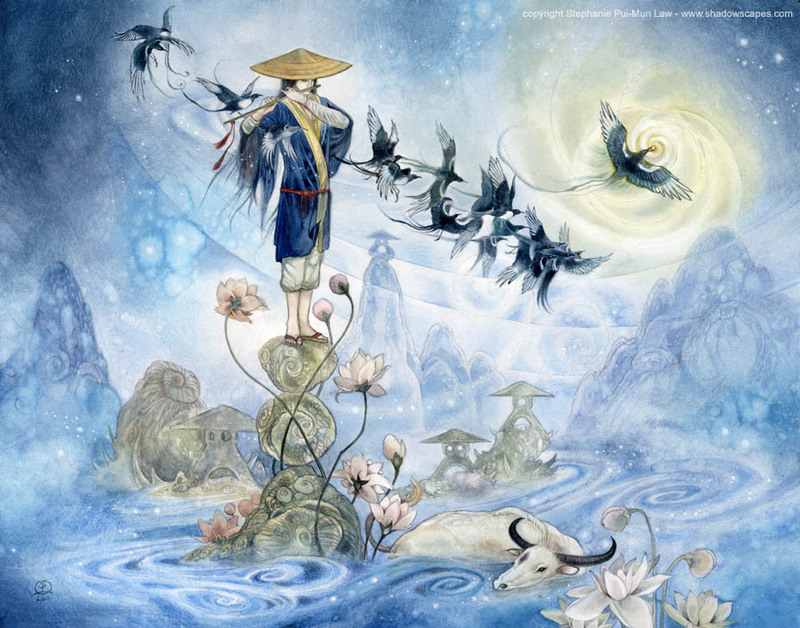 Ken Liu’s “Seventh Day of the Seventh Moon,” tells the story of Jing and Yuan, a pair of young women in love for the first time in their lives, who’re about to be parted by circumstances beyond their control. 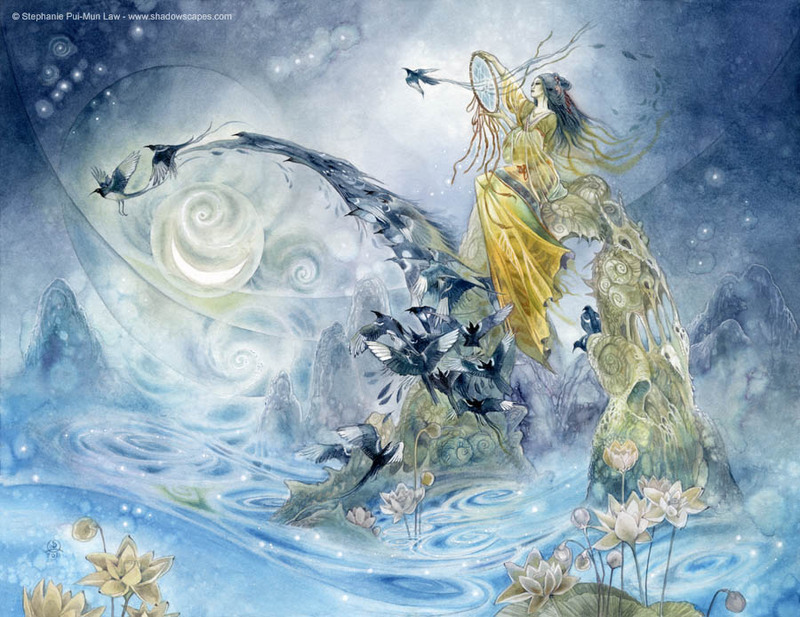 On Qixi, the Festival of the Cowherd and Weaver Girl, the legendary lovers give the young women some help and advice. I couldn’t resist including the illustrations of the original myth done by one of my favorite artists, Stephanie Pui-Mun Law. If you click on the paintings, the link should take you to her gallery. In the dystopian society presented in Foz Meadows’s short story, every child is required by law to have both a male and a female parent. When Julia’s husband dies, she has a ten day grace period before either having to remarry or to give up her daughter for adoption. Out of all these stories, “The Fisher Queen” would probably be my favorite, with “Ten Days’ Grace” coming in second. And on an unrelated note, this is the 500th post on this blog!